Yes, I've finally gotten on the bandwagon... what can I say, it's been a crazy year! 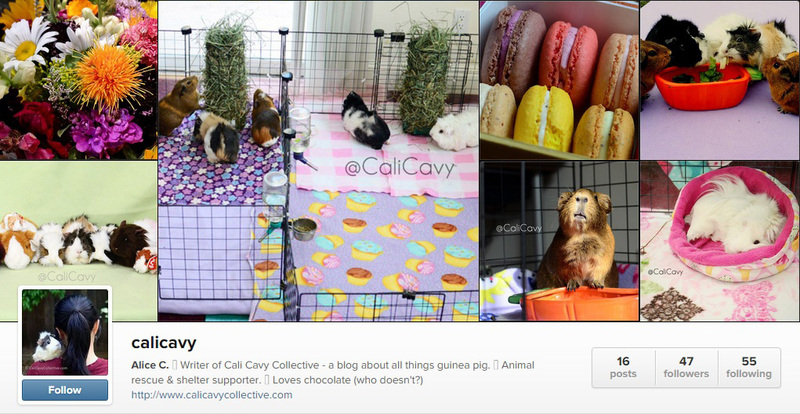 You won't find any selfies here - just photos of the Cali Cavy guinea pigs in all their furry glory. Disclaimer: the occasional outdoor adventure, dessert, and other cute critter may also make its way on there. You've been warned. Head on over to like, browse or follow @CaliCavy! Way cute! Will definitely check out!